Travis Pastrana is one of those people who live their lives in the presence of a phenomenal amount of adrenaline in their veins. He is a famous racecar driver and stuntman who is very successful in his field. Pastrana's professional life is full of adventures but his personal life is no less at all. Travis seems to have found the perfect balance between the adventures of the two different aspects of his life. 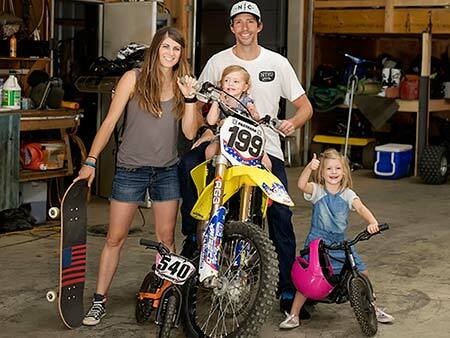 Travis Pastrana is married to professional skateboarder Lindsey Adams Hawkings famously known as 'Lyn-Z'. After dating for eight years, Travis Pastrana proposed her in a really romantic gesture. On the beautiful day of 4 June 2011, Travis got down on one knee in front of thousands of fans on the stand during a live performance of Nitro Circus. The athletic couple got married in Southern California, near Hawking's house, on October 29, 2011, in a small ceremony witnessed by their close friends and family. The couple welcomed their first child, Addy Ruth on September 2, 2013, and they were blessed with their second child on February 9, 2015, a beautiful girl named Bristol Murphy. The couple is getting the best out of their blissful married life enriched further by their two kids. The dynamic couple is often seen doing adventurous stuff with their two gorgeous daughters. Travis also keeps his 3.4 million followers on Instagram posted on the current happenings of his family. The athletes are enjoying their life to the fullest being spontaneous and adventurous. Though they give their fans the chance to be known about their personal life, it is only said to be a slight glance into their actual lives. The family of four is living a wonderful life together. We wish to see them the same till the end. 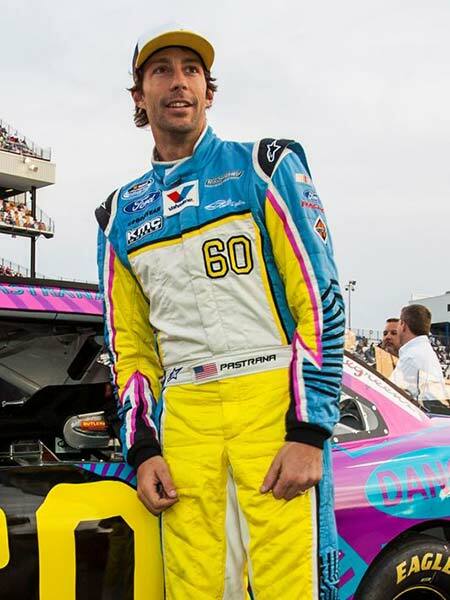 Travis Pastrana started working on his passion from a very young age and hard work always pays off, so it did for Travis who won his first World Freestyle Championship at the age of fourteen in 1998. A year later, Travis again won the gold medal in the X Games MotoX Freestyle event. Success kept on arriving for him at his door and in 2003 he began his rallying career and landed many gold medals. The list ranges long when it comes to his achievements, but some groundbreaking accomplishments include winning the Red Bull X Fighters in 2007, MotoX Freestyle and the Moto X Speed & Style competitions back in 2010. He also commenced his career at the National Association for Stock Car Auto Racing (NASCAR) in 2011. Success isn't attained easily, and similar was the case with Travis who also went through some major injuries in his career. Injuries often forced Pastrana off the circuit for weeks and even months. There is hardly any part of his body left that is yet to be damaged. To add up, he had to go through with some major surgeries including his right knee six times, nine on his left knee, two times on his left wrist, two surgeries on his back and dislocated his spine once as well and not to mention the dislocated shoulder eighteen times. Watch Travis Pastrana's Top 10 Amazing Stunts! And yet, the superstar is still standing. 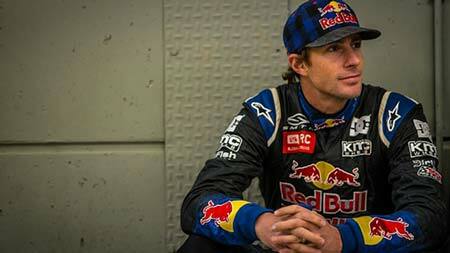 Travis Pastrana was born on 8 October 1983. He was born in Annapolis, Maryland. His parents are Robert and Debby Pastrana. His height is 6 feet 2 inches. His weight is 88.4 kg. He has a net worth of $35 million.